Can you step away from the daily operations of your business? We have developed a process to duplicate yourself and your best team members so that your business runs without you. SYSTEMology® is the fastest and most effective way for you to take an owner-centric-zero-systems business to one which operates like a well-oiled machine. In short, this online program has been designed to remove the business owner from the daily operations of any business within 90 days. Whether you tried and failed to systemise your business in the past or not, it doesn’t really matter. Now you have everything you need to do it in this step-by-step 7-module online program. It provides the perfect combination of training, templates, and software that delivers remarkable, proven results. The business owner is worst person to be documenting procedures and so we have designed this program to work without you! Have been in business for more than a few years. Know their target customers and the specific problems their products/services solves. If you answered ‘yes’ to those questions, then this program is for you and your team. Our propriety 7 step process to extract, organise and optimise best practise systems, processes and checklists from your business. This process has been battle tested and proven within hundreds of businesses and industries. Don’t reinvent the wheel. Copy, paste and customise our proven systems and processes – Including: sales, marketing, operations, finance, human resources and management. 12 months access to our secure, cloud based software, that stores and organises your systems, process and checklists. It’s so simple, anyone can use it and will become the heart of your business. 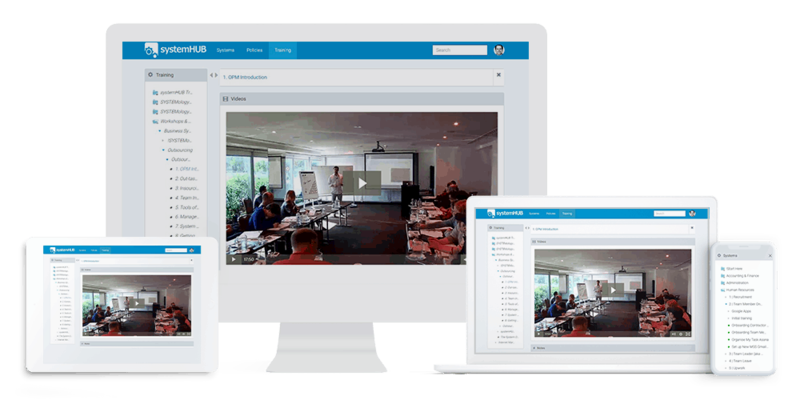 With 7 modules and more than 14 hours of hands-on training, you and your team will learn everything you need to know to systemise your business and have it run like a well-oiled machine in just 90 days or less. We’ve also included printable workbooks, templates and action steps to make everything as simple as possible for you and your team. And if you already have some systems in place, we will show you how to put your business into hyper-drive. The first step in our process is to identify your Critical Client Flow (CCF). Only by identifying and focusing on the critical steps in your lead generation, conversion and delivery, will you be able to get the quickest traction. Next up, you’ll discover why the business owner is the worst person to document systems and processes. Your next step is to identify the core departments, department heads and the responsibly of recording how the business is currently run, gets delegated. At the end of this session, it will be clear what systems need to be created and who will be responsible for them. We will blow away the myth, once and for all, that it is the business owners responsibilities to be creating systems. Next, you’ll discover the quick and easy way to capture how your team is currently delivering your products and services. We’ll share the tools, resources, and systems to make this possible. You’ll also understand the difference between “recording the task” and “documentation”, how critical it is to split these two, and how to get it all done for minimum wage. Never again will you or your team fall for the “I don’t have time” excuse when systemising… we have a system that does the heavy lifting for you. Having great systems is one thing, but keeping them formatted and organised consistently – and easy to find – is another. You’ll peek behind the curtain and see how we run our business on auto pilot. Best of all we’ll give you access to our propriety software – a cloud based platform, so easy anyone can use it. systemHUB will quickly become the heart of all your systems. With great systems now in place, the next step is to integrate it with your team. The goal is to have everyone recognise that this is simply “the way things are done around here”. Fostering a culture of ‘systems thinking’ within your team is almost as vital as the systems themselves. Never again say “Yeah, but my team won’t follow our systems” – we’ll show you how to get everyone’s buy in. In this step, we’ll show you how to identify the systems critical for scaling your business – including financial systems, human resource systems, and management systems. There will be a specific focus on getting your recruitment, onboarding and training processes right, as these are critical to growth and fostering the systems thinking mindset. With the foundations up, you’ll actually discover how systems and process open your business up for creativity and opportunity – critical elements of scale! The final step in the process is to be the process of optimisation – most people try to do this too early. Using a variety of methods, you will learn how to quickly and easily identify opportunities for optimisation. This may include everything from modelling best practises to measuring the specific output of systems and making improvements. You’ll get a step-by-step system, proven to work and guaranteed to take your business to the next level. We provide a full 30-day money back guarantee. Try the program risk-free and if you’re not happy with it ask for a refund within 30 days and we’ll refund you in full. We stand behind our product and the results it delivers. Join as part of this special offer and we’ll include five bonuses – valued at $4,885 USD. 6 months unlimited access to our sytemHUB software. This is the software I built to store all of our systems, processes and checklist. It sells for $1000 for a yearly subscription and took literally hundreds of thousands of dollars to develop. 40 best practise systems and processes developed from industry experts. Systems from Jack Daly, John Jantsch, Nathan Chan, Mike Rhodes, Tim Reid, James Tuckerman, Andrew Griffiths, Dale Beaumont, Antony Gaddie, Adam Houlahan, Brad Sugars, Paul Dunn and many others. I personally extracted them and had my team turn them into actionable, documented systems. Listen in to previously unshared recordings from a closed door coaching group where I took 30 business owners through the SYSTEMology® process. Here the real world challenges, applications and wins. Attendees paid $3000 to attend and you get to be a fly on the wall at no charge. Got a question, need a hand with something? No worries, you’ll have direct access to me via our 1-2 hour call in sessions. I’ll block out my calendar and anyone can call in, you get me for 15 minutes, where you can ask anything. How long does it take to systemise my business? As you can imagine, this question is a difficult one to answer. All businesses are different – from the level of products and services offered to the size of the organisation. That said, typically a business can see the positive impacts from the systemisation of their business within as little as 90 days. Who should be involved in systemising? While it’s important for the business owner to begin the process, it is really the team who will carry this process through to completion. 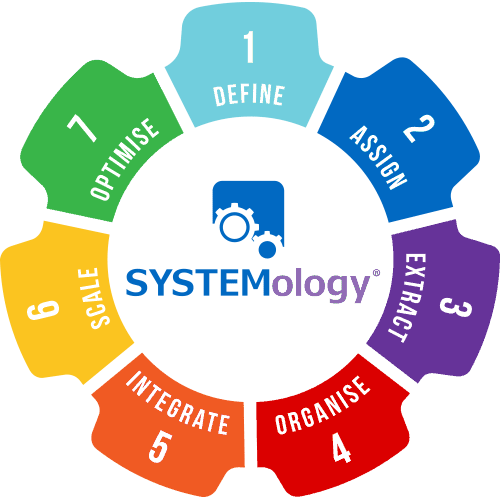 The SYSTEMology® process was actually designed for your team. Accordingly we recommend businesses have a minimum of 5 staff and getting them all involved. For larger teams, include your leadership team and department heads to drive this forward. How long do I have access to The SYSTEMology® Team Accelerator? You will retain access to the The SYSTEMology® Team Accelerator training for life. Note: Included in your package is a 12 month subscription to systemHUB.com. This is offered free of charge and at the conclusion of this period, it is at your descresion should you wish you resubscribe or not. We have literally worked with hundreds of industries around the world – so the short answer is, yes this will work for you too. Business systemisation is a universal step all businesses must take at some point to move past being an owner centric business to one that runs like a finely oiled machine. As part of our special offer, we will be providing a 50% discount for members to join us the SYSTEMology® team accelerator – making your investment only US$995. 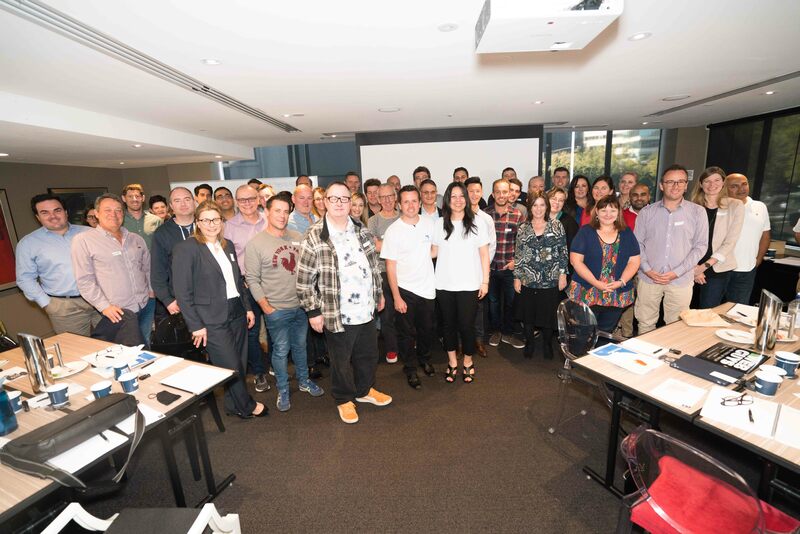 Book a chat with one of our team – we can give you a behind the scenes tour and confirm if SYSTEMology® is right for your business.